Doug passed away peacefully on January 18, 2019 at the age of 93 years. He was born on July 6, 1925 in Hanna, AB to Alex & Edith Marie Robb. He spent his early years in Carolside, AB where his parents owned the general store. In 1935, the family moved to Calgary. In 1944, Doug enlisted in the Royal Canadian Navy and served aboard HMCS Cap de la Madeleine until the end of the war. In 1948, Doug joined the Calgary Fire Department where after 37 years of service, he retired as a Division Chief in 1985. Following his retirement, Doug and Thelma travelled to Europe, Australia and many parts of Canada and the United States. Doug had a warm, loving nature and was never too busy to lend a hand or provide encouragement if needed. He took great pride in the accomplishments of his children and his grandchildren, and his greatest joy was spending time with them. Doug is lovingly remembered by his sons Bruce and Gord (Joanne), his seven grandchildren and four great-grandchildren as well as extended family and close friends. Doug was predeceased by his wife of 65 years, Thelma (Kerslake) in 2015 and his daughter, Marianne in 2003. Doug’s family sends a special thanks to the staff at the Carewest Colonel Belcher for their care and compassion. A Celebration of Life will be held on Friday, January 25, 2019 at The Winston Golf Club, 2502 6 Street NE, Calgary, AB from 1:00 to 3:30 pm. 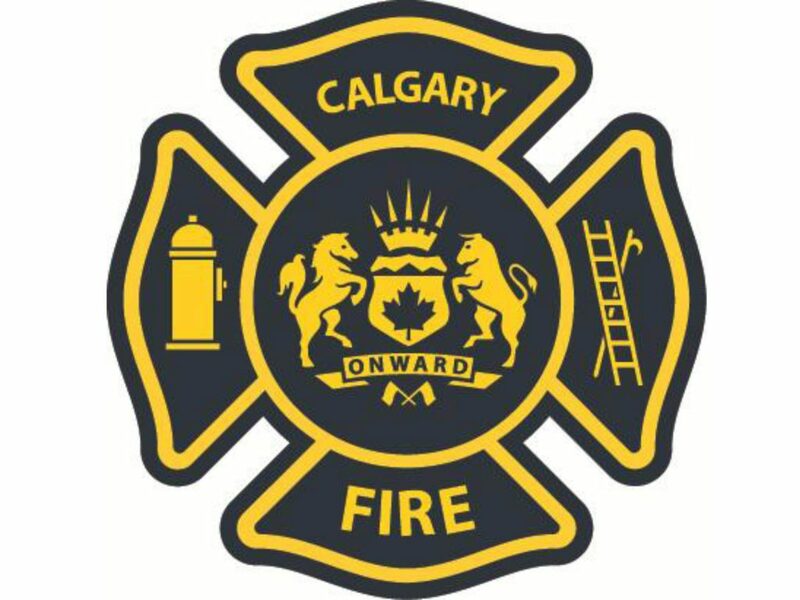 If friends so desire, donations may be made to the Calgary Firefighters Toy Assn., c/o 4144 11 Street SE, Calgary, AB, T2G 3H2. 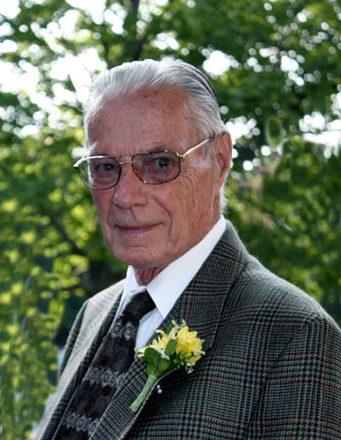 Arrangements entrusted to Lawrence (Larry) Slywka of Cochrane Country Funeral Home Ph: 403-932-1039. Our sincere condolences to Gord, Bruce, and the Robb Families on the passing of Doug. He was truly one of the “nice Guys”and hardly ever missed a pensioners meeting or function.”Brother” Doug will be sorrily missed by us all. Much respect, trust and admiration for Chief Robb condolences to Gord and to all of Doug’s extended ifamily. Our hearts and thoughts are with Gord and all the family. We always enjoyed our visits with Doug. So sorry to hear about Doug’s passing, he was a wonderful person. We have missed him at the last number of Pensioners Luncheons. Now he and Thelma can be together again. My sincere condolences to the Robb families. Doug was a very kind and gentleman’s gentleman. I enjoyed working with him very much. Sorry to hear about your our thoughts are with you and your family. Our sincere condolences, our hearts go out to Gord and his family . We know what a hard time it is when you lose a loved one . I’ll always remember his warm greeting, his deep voice and firm handshake. The Fire community will miss him. Condolences to the family. Condolences to the Robb family. A great man and a great family. Gord and family. Sincere condolences from our family to yours. Our sincere condolences to the Robb family. I thoroughly enjoyed working with him and have many happy thoughts of him. I regarded him highly. Doug was truly one of the honest and down to earth officers I worked with . He was a great mentor to my career . Condolences to his family ,we will miss a great man. Sincere condolences to the Robb family. Had the pleasure of having Doug help with the 2003 Western Canada High School Reunion that I chaired and then again meeting him at the CFD Pensioners meetings. Wonderful person. He will be greatly missed. Truly one of the good guys, condolences to the family. Sorry for your loss, our condolences go out to you and your family. I played handball with Doug @the old #1 Firehall he was a good athlete , he was one of my first officers he would always make you feel welcome , he will be truly missed . So sorry to hear of Doug’s passing. When I started in 1979 at the Fire Department, Doug made me feel welcome immediately and introduced himself. It was always a pleasure to talk with him at 16 and Training. A great man who will me missed by all who knew him. Dear Thelma and Family! Doug was one of the kindest most considerate men I workered for! May God be with you. We could not say enough good things about Doug. He & Thelma made a beautiful couple, with ethics & good will to all – an inspiration to those who knew them, & a blessing to those who are related. Our condolences & best wishes to the whole family. With love, Marjorie & Daryl. My sincere condolences to the family…I remember Doug as captain of #11 Firehall when I was a Paramedic there. My thoughts and prayers go out to Bruce and Gord and families. Doug and Thelma were great neighbours for 58 years.. So sorry for your loss, he will be missed. Our sincere condolences Gord to you and all your family. Your father Doug was just a real nice man to be around. I extend my condolences to Gord, Bruce, and all the Robb families. Doug was a good leader, and always lead by thoughtful example. Many of us Firefighters will remember Doug and Thelma for their work over many years with the Toy Association. Always a pleasure working with Doug, and will be missed by many. We are so sorry to hear of Doug’s passing. He was such a kind and gentle person, he was always positive and a joy to socialize with. We hope the many fond memories of Dad/Grandpa will help you in the days ahead. Our thoughts are with you.